People have lived in the Ballater area for several millennia (there are Pictish remains from about 100 BCE nearby), and a church was established at nearby Tullich by Nathalan, a Celtic missionary, in the seventh century. But Ballater was only established as a town around 1790. At the time of the Jacobite uprising in 1745, the land was owned by (i.e. the laird was) Francis Farquharson of Monaltrie. He fought the English at the battle of Culloden, which the Scots lost, and was taken back to England as prisoner. It was 20 years until he was freed and allowed to return, now aged 55, whereupon he built a new home for himself, Ballater House, now known as Monaltrie House, located on the hill to the north of Ballater town. Francis was known as a liberal-minded landowner, and he brought new agricultural methods to the area, built a number of roads and bridges, and developed some settlements. The first of these was at Pannanich, where mineral springs with reputedly curative properties had been found. Francis therefore developed the spa, built some cottages and it began to attract visitors. Accommodation around Pannanich Wells was insufficient, so Francis built the bridge across the Dee, completed in 1783, and began to sell land to establish a larger settlement that became Ballater. He died in 1790, aged 80.
settlement at the wooded stream, or perhaps, stream at the Pass, from “baile challater”. Ballater grew slowly at first, but more rapidly after Queen Victoria and Prince Albert bought nearby Balmoral castle, and the railway line was built through Ballater in 1861. In 1840 Ballater had 271 residents, by 1871 the number had risen to 694, with 154 inhabited houses in 1901 it was a prosperous centre with a population of 1256. The current population is just over 1500. Thus Jock’s Great Grandparents, Richard Noughty & Margaret Watt, would have lived in the area before Ballater was established, while Jock’s Grandparents, Peter Noughty/McNaughton (1803-1858) & Jane Bowman (1809-1873) would have seen it grow to several hundred people. Glenmuich is the name of the parish, and therefore the name on many of the documents. Glenmuich is a location across the river from Ballater, and is named after the tributary River Muich and the glen it flows through. Muich means mist. 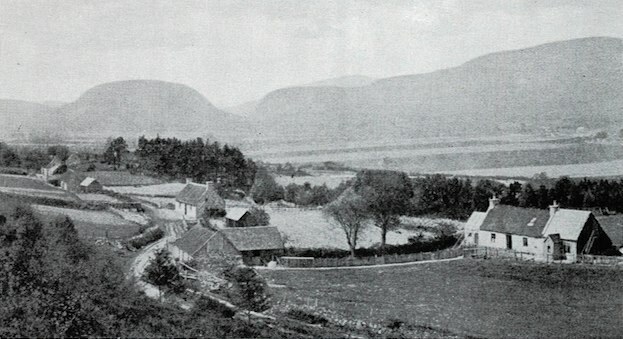 It isn’t clear whether those stated as born or living in Glenmuich were living in the location known as Glenmuich, or the parish as a whole. Just upstream of Ballater, the River Gairn, flowing down Glen Gairn, enters the Dee. Just above the confluence, on River Gairn, there was once a mill, Mill of Prony, meaning “place of pounding” (from “pronnaidh”, genitive of “pronnadh”, present participle of “pronn”, to pound, bruise, bray). Prony also gave its name to the hill on the east of lower Glen Gairn, Craig of Prony. Ballater Local History Group, who supplied some of the photos. Royal Deeside: Ballater in Victorian Times. 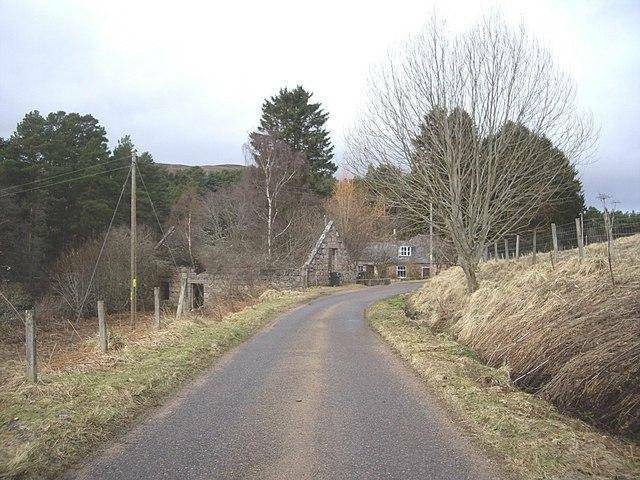 Clan Farquharson: Origins of Ballater – links can take you to a history of Francis Farquarson. Beautiful photos of the Ballater area by James Davidson.